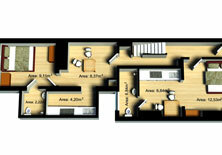 3D Floor Plans are designed to present a clear and simple 3D illustration of the layout of a property. This serves the purpose perfectly… but with Design Presentation you can go much, much further as we can provide you with a realistic 3-D ‘model’ of your property. We have a team of over 150 CAD professionals and can help you convert your hand-drawn sketches into 3D presentation models. 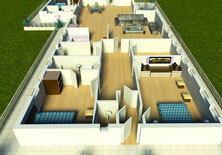 We can also put furniture and fittings to improve the look and feel of your 3D models. In addition, Design Presentation can help you with 3D renderings and walkthroughs for your presentations and brochure/catalogues. 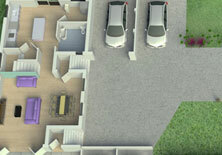 We use Google Sketch-up, 3D StudioMax and V-Ray for producing renderings and animations. 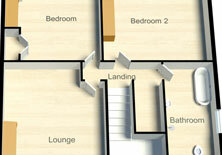 You can e-mail us a copy of your floor plan drawings (including elevations) for 3D conversion.